Endodontics is the area of dentistry that deals with the inside and root of a tooth. When your tooth’s pulp has become infected, it must be dealt with using an endodontic procedure. Our Kalamazoo dentist has years of experience in the realm of endodontics. If you’re worried you might need root canal therapy or an apicoectomy, you can rely on the Kalamazoo, MI dentist at Kalamazoo Smiles. A root canal procedure is a dental procedure that will remove the affected pulp, relieving pain and allowing you to chew normally again. A few symptoms of infected pulp are swelling, temperature sensitivity, or pain in the tooth and gums. If you’re experiencing any of these symptoms, contact our root canal dentist for a consultation. When pulp in the root of a tooth becomes infected, root canal therapy is usually performed. This removes the infection and prevents it from spreading further. When this is not possible or previous endodontic therapy has failed, an apicoectomy is recommended. 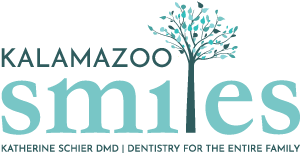 At Kalamazoo Smiles, our endodontic dentist is prepared to guide you through either procedure. An apicoectomy is a minor endodontic treatment that involves removing the infected tip of a tooth’s root, then sealing the area to prevent further infection. An apicoectomy is also known as root end surgery or a root end procedure. After your apicoectomy the bone will grow back, restoring your tooth to its full function. This is a permanent solution to infected pulp that should last a lifetime. Our team is always happy to help answer any questions you may have about our procedures. Set up a consultation by giving us a call at (269) 353-3700.